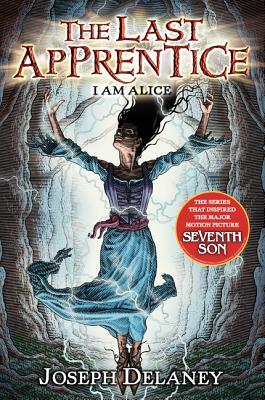 The twelfth volume in the Last Apprentice series, the internationally bestselling fantasy adventure books that inspired the forthcoming major motion picture, Seventh Son. Told from the point of view of Alice, best friend—and true love—to Tom, the spook's last apprentice. Alice is the most powerful witch in the world, and she ventures into the dark itself. Will she return? Alice Dean's destiny is intertwined with Tom Ward's. But he's going to be the next Spook, and she's a witch—possibly the most powerful one the world has ever seen. To rid the world of its greatest evil, the Fiend, Alice will venture into the depths of the dark for the final weapon Tom needs to defeat him. Will she survive? Or will she make the ultimate sacrifice for Tom? The Last Apprentice series is soon to be a major motion picture, Seventh Son, starring Jeff Bridges, Ben Barnes, Alicia Vikander, Kit Harington, Olivia Williams, Antje Traue, Djimon Hounsou, and Julianne Moore as Mother Malkin.